The area under investigation was faced with a number of challenges with development history. From the geomorphological point of view, it belongs unanimously to the fluvial-erosional surface type created in the humid climate conditions which plays essential role in the components of erosion processes which is characteristic of the licensed area. In morphometric analysis, the basic ‘rule of thumb’ is, the more intensive tectonic movements are, the more amplitude of their elevations and depressions will be, the clearer they are in surface structure. 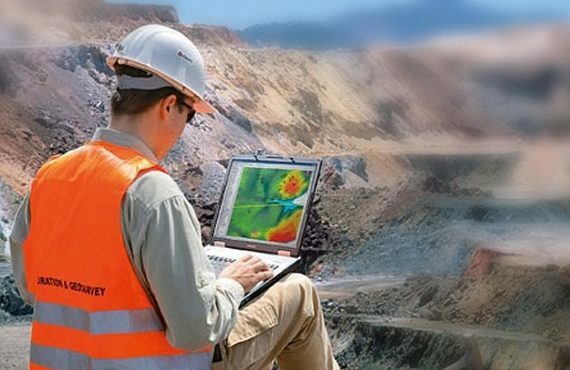 Optimum methods of geomorphological analysis are structural geomorphological or morphometric methods previously based on the topographic map analysis, is now based on Digital Elevation Models (DEM). These methods were developed enough by V.P. Filosofov who applied them successfully in research works for different kinds of minerals. In the process of analysis, the morphometric maps are created, namely; maps of basin surfaces, erosion depths, river valley depths etc., being a derivative for analytical calculations in order to outline prospective areas for certain kinds of minerals. The present method of differentiating erosional (fluvial) method is deemed as the Strahler Classification. Due to such approach, the flowing tributary of the lower order does not increase the order downstream. So the map created upon the 1 st order thalweg is almost the same as topographic one but such maps created upon not less than the 3rd order thalwegs would be quite different from the topographic map. Such differences reflect geological structure and allow to determining general elevation features, tectonic mode of the area, and areas with different tectonic modes and borders between them. The abovementioned methodology based on V.P. Filosofov’s approaches is effective for platform plains with large roughness. Multi-zonal medium-resolution space images Landsat ETM+ (See Figures:5&6). All of these resources above are open sourced data from ERS 5 for non-commercial and scientific studies and are freely obtained provided mentioning the product owner. Space image mosaics taken from the Landsat satellite with spatial resolution adjusted to the panchromatic channel of 15 meters is represented as the corresponding graphical supplements with two combinations of spectral ranges. Operators: NASA (USA), NOAA (USA) and USGS (USA). Digital Elevation Model (DEM) were created on the basis of radar data of the topographic survey from the Shuttle Radar Topographic Mission or SRTM v4, in 2008 and was later developed by United States Geological Surveys (USGS) and CGIAR. Shuttle Radar Topographic Mission (SRTM) (see Figure 1) is the radar topographic survey of the most part of the Earth except the most northern (>60) and the most southern latitudes (>54) as well as the oceans completed for 11 days in February 2000 by means of special radar system. Two radiolocation sensors SIR-C & X-SAR collected over 12 terabytes of the data. SRTM data renewed to the 4th version is much improved as compared to the previous version. The previous data were processed by using new interpolation algorithms and additional improved DEM. Due to accuracy and tested resolution power creation of the model by means of the SRTM 4 data allows to interpret information about the elevation and morphometric features in compliance to the scale of 1:50,000. Outlining prospective areas for localization of fundamental sources and mineral ore occurrence. All the valuable intermediate transformations obtained by modeling geomorphological conditions of the license area are shown in the graphical supplements (images), while analyzing neotectonical peculiarities of the area, the Filosofov’s methods and methods of geomorphological indicators were mainly considered. All the components of neotectonical peculiarities of the area are calculated upon the structural geomorphological and structural geodynamic spatial digital modeling data. Calculations were made upon the digital models by means of image processing software such as; ESRI ArcInfo Grid, Erdas Imagine, TNT maps, scale 1: 50,000 and resolution power of 15-90 meters. The size of digital cartographical models (matrixes) made up nearly 30,000,000 points. Similarly, all valuable indicators used in assessing neotectonical peculiarities of the area are set as the graphical supplements to the report.